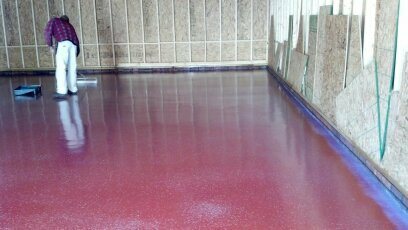 R and R Painting NC LLC is a leading provider of Garage Floor Painting and Coating services. Our expert technicians have years of experience and can help your garage floor stay new looking. We begin by carefully preparing the surface by removing any dirt or grease and filling in any cracks. Then R and R Painting NC LLC professionals finish by applying the paint, coating, sealant, urethane or epoxy that has been selected for the job. Serving the area since 1977. Call R and R Painting NC LLC today and learn how we can help preserve and beautify your garage floor.